From teaching time management skills to helping students discover their passions, College Internship Program (CIP) Bloomington offers services which could benefit nearly anyone. However, the young adults assisted by the local transitional program fall on the autism spectrum or have other learning differences that make it difficult for them to navigate college or jump straight into a career after high school. Students are also taught how to recognize and proactively manage difficult feelings. And they’re encouraged to establish morning and evening routines, practice good sleep habits, and explore nutrition, yoga, and meditation. “It’s tough to go to school or have an appointment with your adviser if you haven’t slept or you’re not eating well,” Davidson notes. 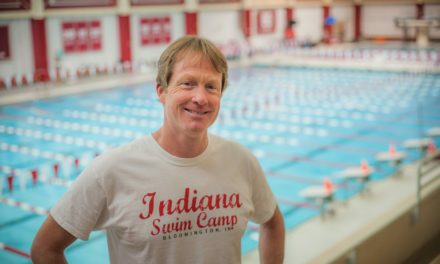 CIP Bloomington is one of just five CIP locations offering full year and summer programs for students with autism, Asperger’s, Attention-Deficit/Hyperactivity Disorder (ADHD), and other learning differences. The other CIP programs are located in Massachusetts, Florida, and California. For more information, visit CIP Bloomington at magbloom.com/cip or on Facebook.